← The Hallow of Halloween– Should Christians Be Involved? I don’t have a birthday in October, no one in my family does, actually, and I don’t love Halloween (although I do think it’s fun). I don’t adore pumpkins and colored leaves, while beautiful, aren’t my favorite thing in the world. No, October is my favorite month for one reason and one reason only—the sky. Here in Georgia, a clear, October sky is so brilliantly blue that sometimes when I see it, I’m breathless. The color is so vibrant, so clean, so perfect—it’s the closest I can imagine to what Heaven will look like. How the colors there will be luminous, radiating Christ’s vivid flawlessness. It’s beautiful. It’s stunning. The blue of the October sky is the perfect, most unblemished color. Sunrises look better against it and sunsets are more brilliant. Clouds dare not mar its excellence. Something about an October sky is crisp. Cool. Flawless. It makes me want to sing of God’s brilliance and creativity, thankful for the millions of hues that decorate our world. 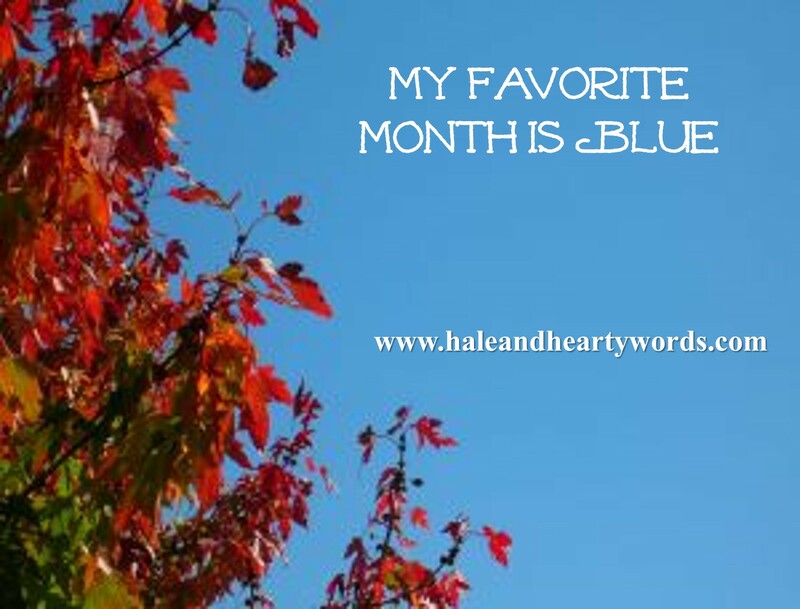 Share with me:What is your favorite month of the year and why? Loved your post…you’re right, the sky IS blue in October, isn’t it? At least it is here in Iowa today. 🙂 Love it.